K-State Tennis looks to break the University of Colorado’s undefeated streak on Sunday, Feb. 18 at 12 p.m. The Buffaloes are 5-0 this season, which is only one win away from tying the second-best start to a season in school history. 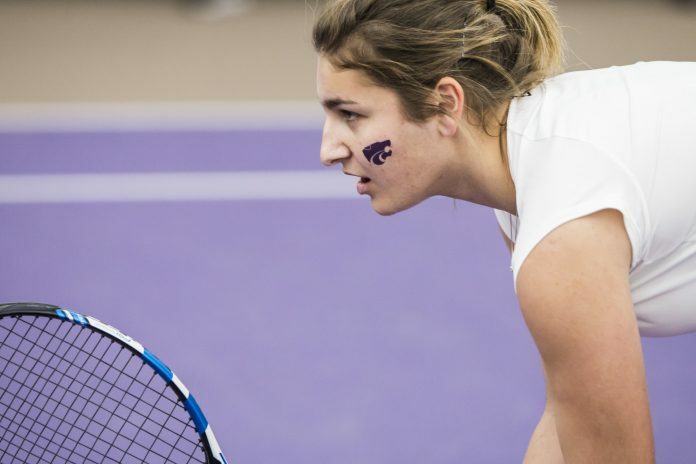 The Wildcats are 4-1 this season and coming off a huge comeback win against Washington State, starting out down 3-1 and finishing 4-3 thanks to important singles wins from senior Carolina Costamagna, sophomore Ines Mesquita and freshman Anna Turco. One of the Wildcats’ biggest threats coming into this match will be freshman Linda Huang, who is 16-3 in singles play this year. The Wildcats will need to lean on strong doubles play to win this match, as the Buffaloes are weaker in doubles than they are in singles. 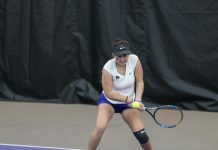 Overall this season, the Buffaloes have a win percentage of .608 in doubles play and .630 in singles play, while the Wildcats post a .750 in doubles play and .643 in singles play.